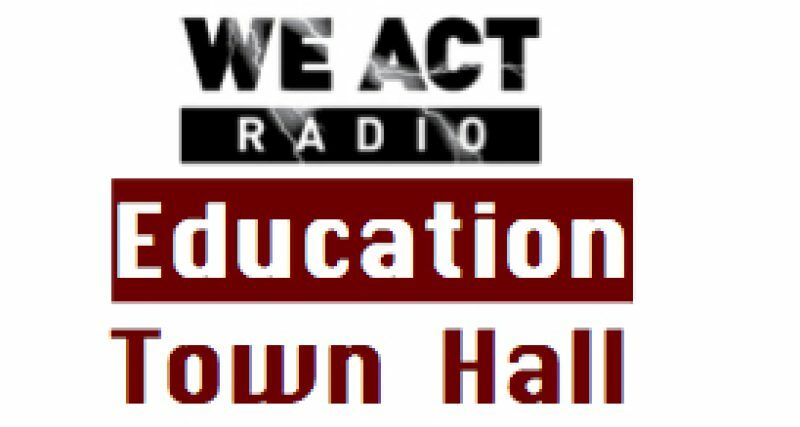 On our November 8 show, our guests Johnnie Scott Rice, Katheryne Willis, Anne Batiste, and Alfreda Wright shared their experiences as DC public school children both before and after the landmark Supreme Court case, Brown v. Board of Education. This post was updated 11/9/18. Education Town Hall was lucky to have the daughter of an education pioneer on the show. Katheryne shared that her mother—Margurite Carr Stokes—had to endure a lot of criticism for being a 13-year-old plaintiff in a 1947 lawsuit to attend the all-white Eliot Junior High. The lawsuit was the first desegregation lawsuit in DC. Margurite’s all-black middle school, Browne, was terribly overcrowded, while Eliot was not. Carr Stokes’ father, James Carr, did not want his child to endure the conditions at Browne, which had students attending in two shifts. He ensured that the family knew exactly how difficult the path would be—and paid a steep price with the lawsuit by losing his job at the Pentagon. Ultimately, Margurite would lose her lawsuit in early 1950. Johnnie, Anne, and Alfreda talked about their paths to high school, from various parts of the city—and how even though DC’s so-called black schools were provisioned poorly, the teachers were well-trained and very dedicated to ensuring their students would succeed. Anne, a former DCPS teacher, noted that the difference today is that teaching is not fostered as a profession, but considered something one does on the way to another goal. They also discussed how their own parents nurtured an expectation of success through education, and how this affected their schooling as well as their interactions with others in their schools and neighborhoods. In addition, conversation covered the different budgeting for majority black and majority white schools, which persists to this day in DC—and possible solutions.